If you’re on the hunt for a new Toyota for sale in Stuart, trading in your current car is a great way to save on your purchase. 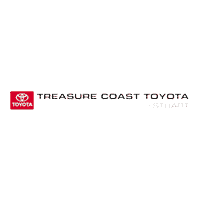 You can use our trade-in tool, courtesy of Treasure Coast Toyota of Stuart and Kelley Blue Book, to get an estimate toward the trade-in amount that can go toward your next vehicle your next vehicle. Use the tool below before visiting us near Fort Pierce! Using Kelley Blue Book’s Value Your Trade tool is simple, and it can help you save on your next vehicle purchase! All you need to do is enter the necessary fields, including your VIN, make, and model, and you’ll get an estimate toward the purchase of your next Toyota. It really is that easy! If you have any further questions about Toyota financing, feel free to contact us at your leisure. Our finance team is here to walk you through the car-buying process, from helping you get a good interest rate to finding a monthly car payment estimate that works best for your financial situation. We look forward to helping you find the right vehicle for your Vero Beach commute!